The “DELPHI IDEA” represents the concentration of the basic principles of the ancient Greek philosophy and spiritual life, especially those of freedom of thought, promotion of scientific excellence, culture and in general, the spiritual life. 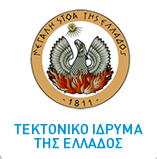 The University of Athens in collaboration with the Delphi Municipality has established in 2005 the revival of the “Delphi Idea”, continuing the work started by Angelos Sikelianos. • Celebrations and honorary events, where awards and distinctions are ascribed to personaes, from all over the world as well as Greeks, who apply in their life and work the Values of the “Delphi Idea”. Mission: the promotion of the basic Human Values, as (perhaps) the only way out from the difficulties of humanity in nowadays.